Fred’s dead baby. Fred’s dead. 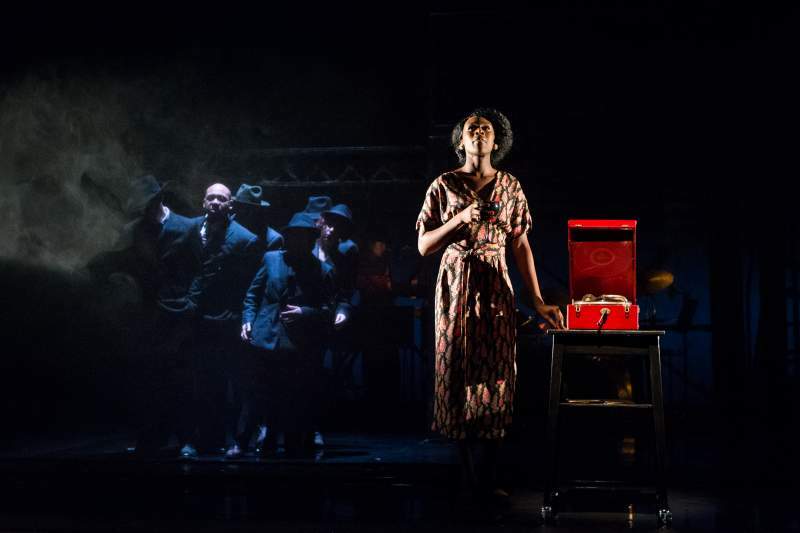 Pilot Theatre and York Theatre Royal bring home the darkness and seething underworld in this stunning new adaptation of Graham Greene’s Brighton Rock. Backgrounded by a moody, moogy synth and drums, rhythm infuses the whole cast as they play out the tale on a high contrast minimalist set, a brilliant take somewhere north of Smooth Criminal and south of Caravaggio. The bulb-encrusted Brighton Pier looms menacing and omnipresent as death itself, a sinful stage for flawed folk to walk on in the wake of a grotesque murder by a local bad boy. Gloria Onitiri is absurdly compelling as Ida; dominating, hilarious and unerringly fabulous, she’s given additional agency as the narrator, overseeing the strange, sad story of Pinkie and Rose. Sarah Middleton plays Rose, flush with the innocence of youth but in possession of a deep strength, her mortal soul never truly crushed by her deadly lover. Black-clad gangsters double up as karoko-like spectres, dark angels connected to Pinkie’s energy. Jacob Beswick’s swaggering, menacing murderer is a startling sight; a barely-supressed wraith disguised as a human, the demon forever on the verge of breaking free with every mad tic and strut. Caught in a dark dance between the stirrup and the ground, mercy was asked for but little was found in this compelling and redefining new take on the classic novel. Brighton Rock is at Northern Stage, Newcastle until Saturday 5th May.